Welcome to Pretty Pastel's Baby Gifts Blog! This is the place to be if you want to watch the Pretty Pastel website is growing and evolving. To subscribe the Pretty Pastel Blog just right click on the orange RSS button, and then paste the URL into your RSS Reader. Once you have a good pattern making cloth baby diapers (or nappies) is relatively easy. The hardest part really is finding suitable cloth diaper fabric to make them out of. Continue reading "Cloth Diaper Fabric"
Continue reading "Baby Shower Gifts"
Newborn baby gift baskets are a popular gift for baby showers or when the baby arrives, and they are relatively easy to purchase or you can put one together yourself. 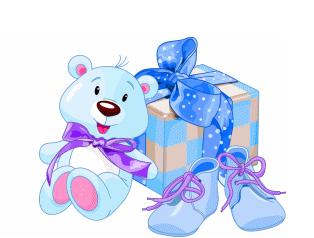 Continue reading "Newborn Baby Gift Baskets"
Continue reading "Contribute to Baby Gifts"
Do you have a great quilting tip? Submit a quilting tip on this page and share it with your fellow quilters. Continue reading "Submit a Quilting Tip"
Do you have a quilt that you would like to include in the Pretty Pastels Quilt Gallery? Continue reading "Pretty Pastels Quilt Gallery Submission Page"
Welcome to the Pretty Pastels Quilt Gallery! On this page you will find links to a page for each quilt featured in the gallery. Continue reading "Pretty Pastels Quilt Gallery"
Are you looking for the perfect gift for that special little someone in your life? Baby gifts come in all shapes and sizes, some are simply practical, while some are purely whimiscal. It is always fun organising a gift for a new baby whether you buy them or make them yourself! Continue reading "Baby Gifts by Pretty Pastels"
Another homemade baby gift idea is making custom baby bibs. Bibs are quick and easy to make and only need a small quantity of materials so they are quite cheap to make as well. Continue reading "Making Custom Baby Bibs"
If you have a limited budget when a new baby is about to be born, one of your options is to put together a cheap baby gift basket for the new arrival. Continue reading "Cheap Baby Gift Basket"
Welcome to Pretty Pastel's Baby Gifts Blog! This is the place to be if you want to watch the Pretty Pastel website is growing and evolving. Continue reading "Pretty Pastels - Baby Gifts Blog"
Believe it or not, new babies don't actually need a complete wardrobe of newborn clothing in every size! Babies grow rather quickly, and usually all of the beautiful outfits they are given when they are born receive very little wear. So what are the minimum requirements and which items is the new mum less likely to receive from friends and family? Continue reading "Cheap Baby Gifts"
For a while now if a new mother said she was planning to use cloth baby diapers (or nappies for all of us Australians) most of the people around her would have told her she was crazy. Continue reading "Cloth Baby Diapers"